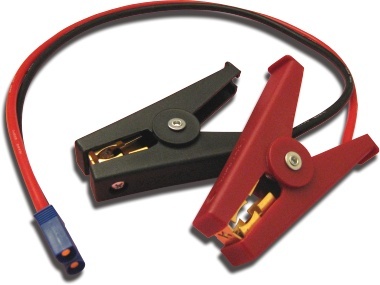 PowerLab 60A Plier Clip Assembly for connecting the new PowerLab EC5 battery workstation to a lead acid battery or power supply. Cable is 2 foot long, 10AWG, has an EC5-equipped male pin connector on one end, and two 60A capable plier clips on the other end. Plugs directly into the PowerLab EC5-equipped units. Allows quick-connection to PowerLab input supplies like Lead Acid batteries and certain AC/DC power supplies. 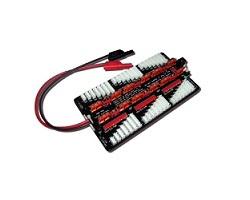 Great accessory for the PowerLab series battery workstations.